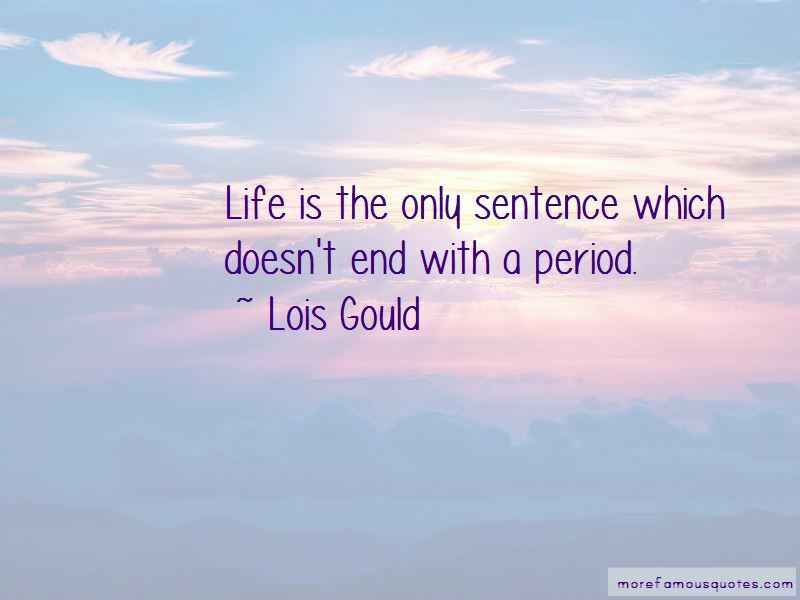 Enjoy the top 4 famous quotes, sayings and quotations by Lois Gould. My favorite question that is asked only of women is, 'What do you do with yourself all day?' 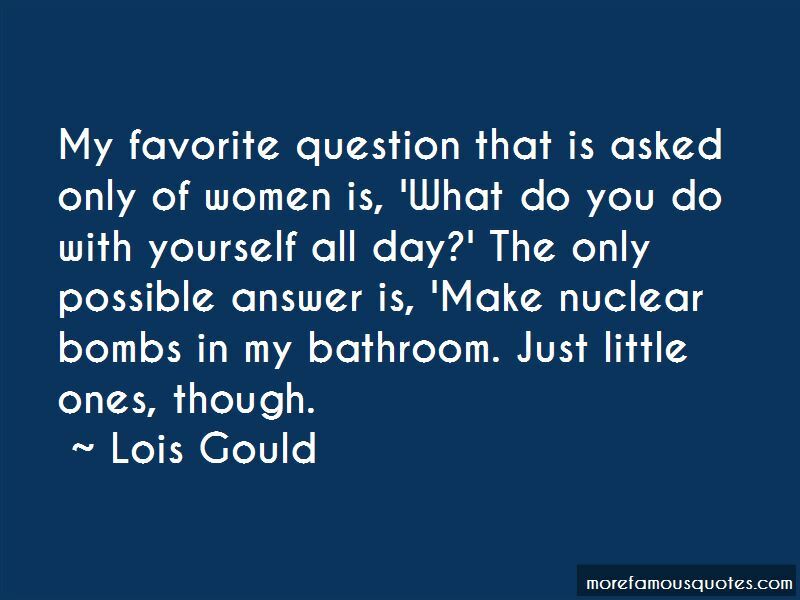 The only possible answer is, 'Make nuclear bombs in my bathroom. Just little ones, though. Life is the only sentence which doesn't end with a period. 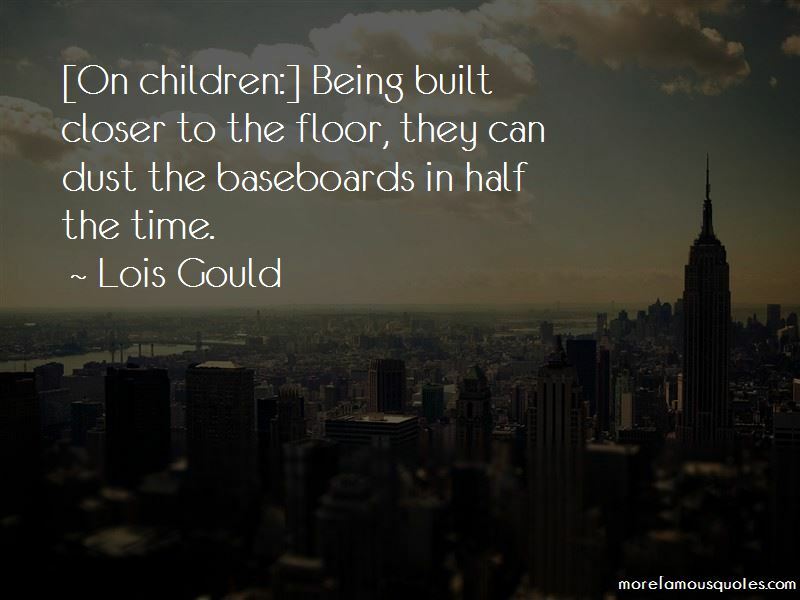 Want to see more pictures of Lois Gould quotes? 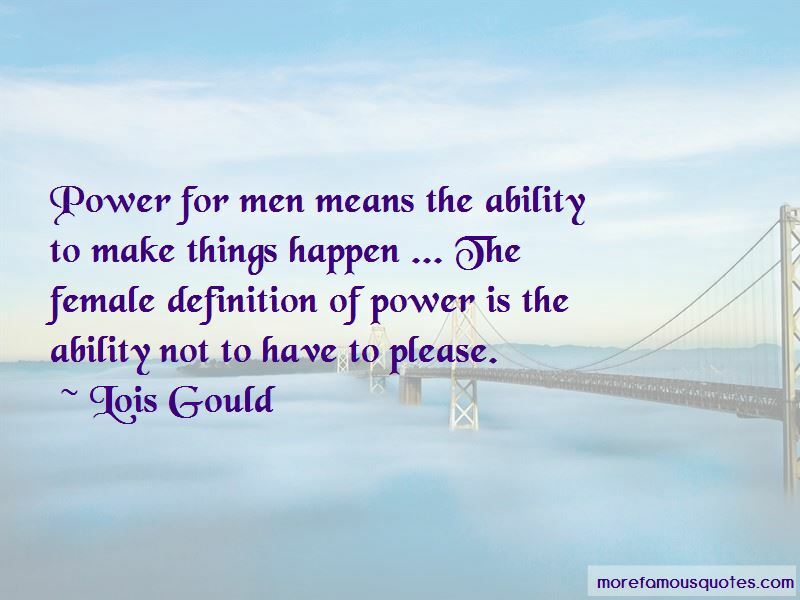 Click on image of Lois Gould quotes to view full size.